According to a recently released RightScale State of the Cloud Report, 81% of respondents claim to have a multi-cloud strategy already in place. That's pretty impressive, considering multi-cloud is a relatively new architecture concept. In fact, it's a little too impressive. I would venture to guess that if we dug in to those same respondents, most are light on the details. A true multi-cloud strategy takes far more planning than you may think. It must include well thought-out and actionable steps regarding business need for multi-cloud as well as details on how private and public clouds can most efficiently be stitched together to create a singular network. If you're serious about having a real multi-cloud strategy, thinking about the considerations below will help your organization get beyond the basics. Many enterprise IT departments by now have well-established relationships with one or more cloud service providers. Because of this, comfort levels and opinions of the various providers have formed. Most have indeed chosen which providers they are likely to work with today and into the future. This cloud provider preference information is typically included in standard, multi-year IT roadmaps. However, a simple blurb about cloud provider preferences should not be misconstrued as being a "strategy" as it relates to multi-cloud. While choosing cloud providers is a good initial step, more detail is required. When the number of private and public cloud providers escalates as it likely will in a multi-cloud environment, IT leadership must consider how they plan to obtain and maintain in-house expertise. Depending on your current and future cloud plans, you may opt to train cloud administrators as generalists that can be proficient working in any cloud environment the business selects. However, a tipping point will inevitably be reached as the number of cloud providers grows. That's when it may make more sense to have certain administrators specialize in only a handful of cloud providers or certain cloud skills. Planning to identify this tipping point for your business is crucial -- especially if multi-cloud takes off faster than anticipated. 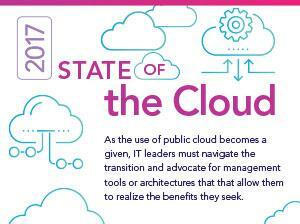 Applications and data operate differently depending on which public/private cloud they run in. Cost savings, performance and redundancy must all be considered when planning where to spin up cloud services -- and where to store massive amounts of data. Other factors such as the cost of exporting data from the cloud, the level of elasticity required for specific apps and data, as well as what types of SLAs are required will also play heavily into this decision-making process. In terms of a strategy, it's best to be able to categorize various applications and data into groups as opposed to having to perform in-depth evaluations every time a new app or database project formalizes. That way, the decision time is shortened to avoid delays in rollout. While cloud scalability and security are vastly different topics from a technical sense, they must be discussed in tandem when looking at a multi-cloud strategy. It's likely that your cloud providers are not 100% compatible in terms of the setup and configuration of underlying infrastructure components for both the networking and security components. Thus, your multi-cloud strategy should detail how scalability and security will be initially set up and maintained. Some will opt for manual processes that require internal IT staff to duplicate networking and security across multiple cloud instances. 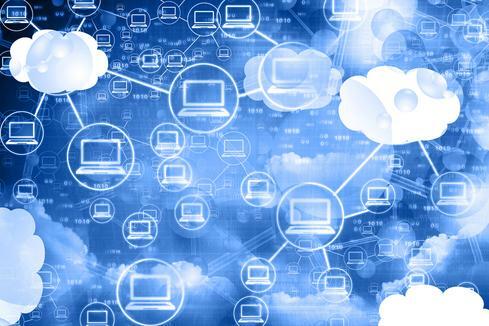 Others will look to multi-cloud management platforms to help automate these processes. Either way, some serious thought must be put into this category to make sure that your multi-cloud network is both easily scaled and secure. Lastly, any decent multi-cloud strategy must detail when and how the current strategy should be re-evaluated to ensure it continues to meet business demands. Each of the topics listed above should be formally audited at set time intervals throughout the year to look for changes in need, new cloud provider opportunities and security/growth concerns. You'll likely find that decisions that were correct from a business strategy 12 or even 6 months prior may have dramatically changed. Thus, it's necessary to re-evaluate your strategy a minimum of once per year.